One of the great things about today’s Inter­net is how easy it is to col­lab­o­rate with oth­ers. A few weeks ago, I appeared on the web­site of Deb­o­rah Mills-Scofield; this week, I spot­ted Deb’s thoughts appear­ing on Tan­veer Naseer’s great web­site. But it was Deb’s choice of sub­ject mat­ter that real­ly attract­ed my atten­tion: she chose to ask the ques­tion, “Are there lead­er­ship lessons we can learn from the new film ver­sion of Les Mis­érables?” This is a most time­ly choice of top­ics and not just because the film recent­ly picked up three Oscars. Deb’s focus was on the film as “A Study In The Stran­gu­la­tion Of The Sta­tus Quo”. And, make no mis­take, I have found that it is very hard for lead­ers wed­ded to the sta­tus quo to find their next. “Les Mis” (as many now call the sto­ry by Vic­tor Hugo) has been drama­tised in many ways. The stage pro­duc­tion, TV and film ver­sions have all brought Hugo’s 1862 nov­el to life in dif­fer­ent ways. Not read the book or seen any ver­sion? Here is one good (and quick) sum­ma­ry. In a nut­shell (and the sto­ry is far, far more than this), it is about a life­long strug­gle between a French police­man (Javert) and Val­jean, a man who, once stole a loaf of bread — and served years in prison for doing so. After his release from prison, many things hap­pen (includ­ing an attempt­ed nation­al rev­o­lu­tion); yet, as Deb points out so well, the cen­tral theme is about the con­flict between Val­jean (rep­re­sent­ing grace, growth and free­dom) and Javert (rep­re­sent­ing some­one who is inex­tri­ca­bly locked into the men­tal chains of an unyield­ing sta­tus quo). Deb’s les­son will enrich anyone’s under­stand­ing of the film, and I’ll only repeat here this excerpt from her new post: “… the intel­lec­tu­al and emo­tion­al stran­gle­hold of the sta­tus quo is killing our peo­ple, our organ­i­sa­tions and us.” The les­son Deb draws from the film will undoubt­ed­ly fire up some great con­ver­sa­tions with your friends and, espe­cial­ly, with any work asso­ciates. As I see it, there are thou­sands of vari­a­tions of Javerts work­ing (and, often, lead­ing) organ­i­sa­tions today. Their respect for the sta­tus quo goes beyond rea­son­able. It too often dom­i­nates their mind­set about what is pos­si­ble for the enter­prise going for­ward. Since that mind­set is by and large unfavourable to the pos­si­bil­i­ty of much-need­ed change, they hun­ker down, shut down, put down, tie down and stay down. They stop think­ing and just do what they have always done, regard­less of the dwin­dling results and demor­alised cul­ture. If you work with, or for, some­one like that, you’ll under­stand the title for this post. 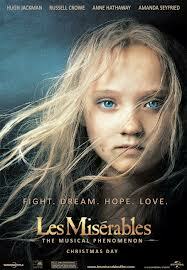 A firm oper­at­ed by a major­i­ty of peo­ple who think like Javert will prove to be “Les Biz­er­ables”.